INDIANOLA, Miss. — Early July in the Mississippi Delta and the East Sunflower Elementary School was bristling with nervous energy. If educators inside were perspiring, though, it wasn’t from the sweltering summer heat. The school was just days away from final administration of the statewide third-grade reading test: the culmination of the Sunflower County school district’s intensive four-week summer school aimed at lifting the scores of students who had already twice failed the state test, and saving them from the humiliation of repeating third grade. The effort would be the capstone of Mississippi’s controversial effort to improve early childhood literacy with the use of a high-stakes standardized test — a last chance to get enough passing scores to move the district to a respectable showing by pushing more than three dozen 9-year-olds to reading proficiency. Ever since Mississippi Gov. Phil Bryant signed legislation two years ago declaring that third-graders could not be promoted without passing a test to prove they are adequate readers, parents, educators and advocates have debated the appropriateness of high stakes testing for eight and nine-year-olds. Bryant has said students have little chance of academic success — and a much greater likelihood of dropping out — if they can’t read by fourth grade. More than 20 percent of Sunflower County’s third-grade students failed the state’s third-grade reading promotion exam on the first try. But many educators say retaining students often results in their dropping out later on, and some parents worry the governor’s program will punish nine-year-olds for the results of decades of funding shortfalls. Of the more than 37,800 Mississippi third-grade students who took the statewide test for the first time in April, 14.83 percent (5,612 students) failed to reach the minimum score. When those 5,612 students took the test again late May, an additional six percent passed — leaving nine percent (3,400 students) in need of summer school. On a weekday in mid-July, Sunflower County administrators had packed as many adults into the summer school building as they could manage, including a handful of reading specialists and a dozen mostly young twenty-somethings from Teach for America — the 26-year-old national program that takes promising young graduates of some of the nation’s most prestigious colleges and enlists them to teach in many of the country’s neediest and most challenging districts. The teachers and administrators knew many eyes were watching — from Gov. Bryant to nervous parents to advocates and proponents of social promotion throughout the county. Among those watching was Frankie Blackmon, the district’s newly appointed director of federal programs, who was also keenly observing the activities in the building. 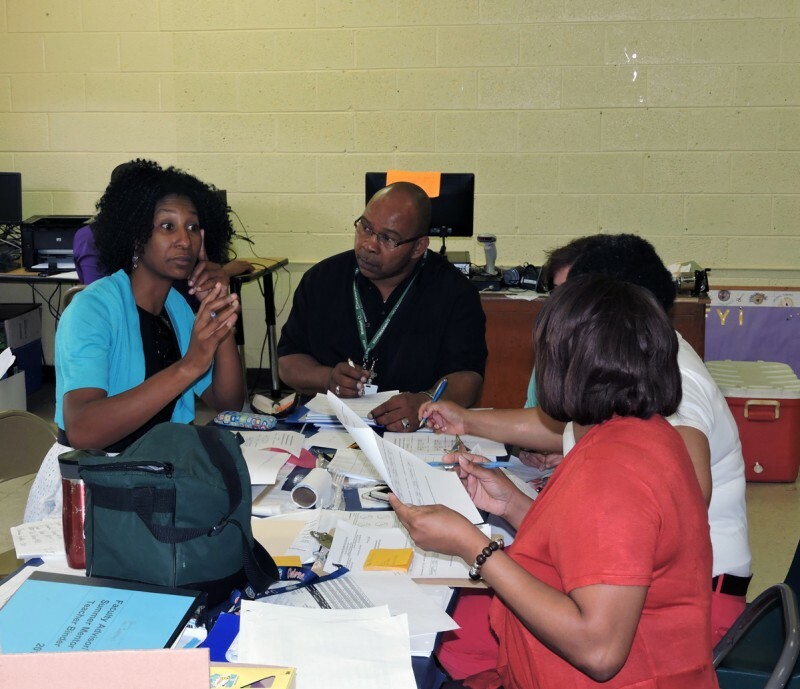 Blackmon was conducting a site visit to make sure the teachers and students were properly primed for the upcoming test, a final inspection of sorts. 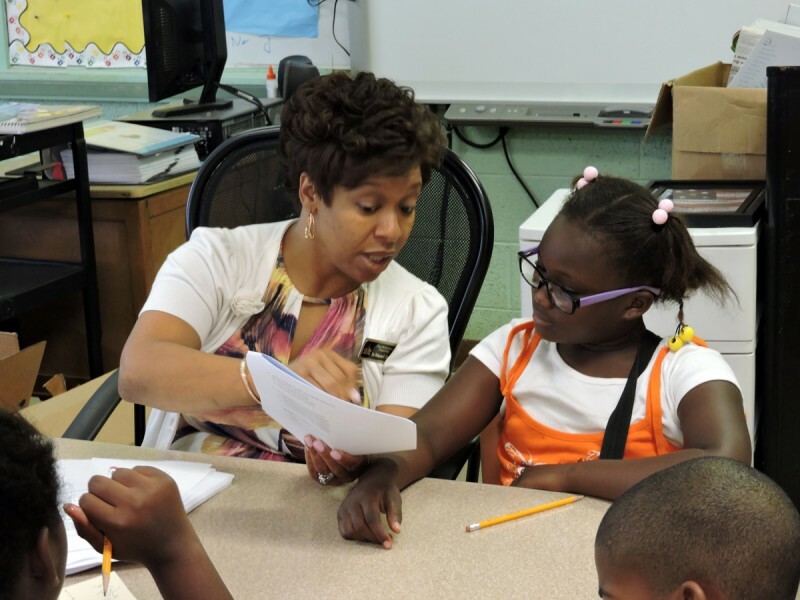 While elementary school students from every grade were attending summer school at East Sunflower, Blackmon showed particular interest in the third-graders. As she was being escorted from room to room by Earnest Nelson, the summer school coordinator — called “Coach Nelson” by adults and youngsters alike (he coaches middle school football in Sunflower County) — Blackmon spotted something she didn’t like, and stopped cold. In one of the third-grade classrooms she saw students sitting cross-legged on the floor, watching an animated Disney movie, while the teacher munched on a snack. This was on the last full day of instruction available, since the district had planned a “fun day” of games and snacks the following day to give the youngsters a chance to de-stress before the test on Tuesday of the following week. “What’s going on here?” she asked. Nelson responded quickly: He would get some answers. For a largely poor district like Sunflower, where funding is always a challenge, too many students repeating third grade could mean a big financial hit. The money for summer school came from two separate grants from the federal government for summer enrichment and after-school tutorials — one for $500,000 and the other for $250,000. That’s why it fell to Blackmon, the director of federal programs, to inspect the program’s operation. From that pot of grant money, Sunflower County allocated $57,556 to cover the cost of staff, supplies and transportation at East Sunflower Elementary School. This is only the second year in recent memory that the district has had enough money to run a full summer school; the funds won’t be available during the year to ease the burden on potentially overcrowded third-grade classes. Sunflower County is one of the poorest counties in the poorest state in the nation — Mississippi leads the United States in the percentage of families living under the federal poverty level. (The level for a family of three in 2013 was about $18,000 a year.) According to the U.S. census, more than 36 percent of Sunflower County’s roughly 27,000 residents lived below the federal poverty level that year — well above the state’s overall number of 22.7 percent, the 13th highest of Mississippi’s 82 counties. Sunflower County schools reported a failure rate of 22 percent, some seven points higher than the state average of 15 percent, after the first statewide reading test in May — meaning nearly one out of every four of the district’s 353 third graders had failed. After the test was administered a second time, before the start of the summer school, another 10 percent improved enough to pass. That left 44 students from the district’s six elementary schools facing retention — 12 percent of the district’s third graders. These were the youngsters who piled onto a school bus every morning during what should have been their summer vacation to travel to East Sunflower Elementary for the four-week summer school program. Only two of the 44 didn’t attend summer school. At the end of the four-week session, the statewide reading test loomed again — for the third time. One mother of a failing student made sure her son knew the importance of this final test: “Three strikes and you’re out,’’ she told him. When results for the third test came in, district officials reported a total of 10 out of 42 students passed: 34 youngsters would have to repeat third grade. Though she claimed that she wasn’t disappointed, Sunflower County superintendent Dr. Debra Dace admitted that she wished a higher percentage had passed. Statewide numbers for the third test aren’t yet available because districts have until mid-August to administer it. Just after Sunflower County third graders took the test for the third time, district officials received word from the state education department that youngsters held back in third grade will have yet a fourth chance to pass the test in November. But wouldn’t moving into fourth grade late in the fall be disruptive? Guilfoyle responded that districts will have the ability to structure classrooms to cause minimal disruption. Dace said because most of the students in Sunflower County who failed the test are from one particular school, Carver Elementary, the students who were held back could likely be placed in the same classroom. If a majority passes the November test, that third-grade class would then be considered a fourth-grade class. What to do with the struggling students? When they started working with students in early June, educators in Sunflower County and throughout Mississippi immediately were confronted by a question that sliced to the heart of the summer school effort: If these third graders (referred to by district officials as the “re-testers”) still couldn’t read adequately after four years of schooling, how much could they realistically be taught in a four-week program — a program taking place during the summer, in an unfamiliar building, taught by unfamiliar teachers? Could anything meaningful be accomplished? “Some of them really weren’t focused when they took it [the test] because they just missed by 5 or 6 points. 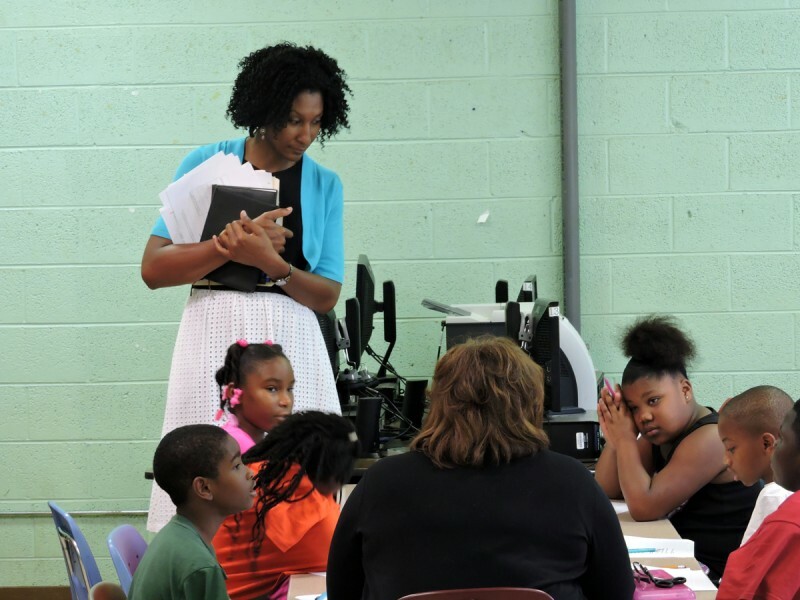 But for others, they’re not where they should be and it’s a struggle for them,” said second-grade teacher Daisey Hawkins, acting as the faculty advisor for the summer school — which means her primary job was to oversee the TFA (Teach for America) crew. Mississippi educators pointed out that although this year the state test was the catalyst, the summer school population was, for the most part, made up of the same students they struggle with at the end of every school year. How do they reach those who for some reason just aren’t getting it — whether the obstacles are behavioral, emotional, or learning-related? Figuring out how to improve the performance of struggling students is a challenge every school system must face. In Sunflower County’s summer school, district officials chose to meet the challenge with a team of adults that consisted largely of young trainees from TFA, which allowed Sunflower County to put three adults in every third-grade classroom. But district officials acknowledged that TFA trainees did more observing and one-on-one tutoring than actual classroom teaching. 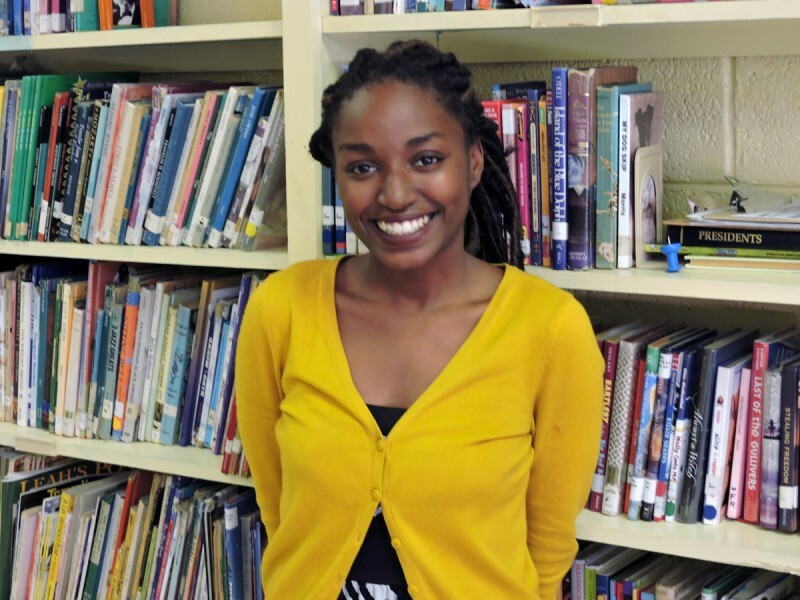 Teach for America trainee Brittany Frizzelle, 20, was not shy about registering her frustration with the minimal amount of teaching she was allowed to do during the summer weeks, which were supposed to be preparing her to take over a fifth-grade class this fall in Edgecombe County, North Carolina. 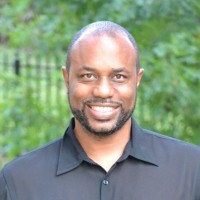 But Samuel Crenshaw, who serves as a coach for teacher leadership and development in Mississippi during the school year, said the TFA trainee program is designed so that the future teachers train and observe at the beginning of the summer, before moving on to teach one block per day of 50 to 60 minutes. It is not designed to have trainees teach classrooms for the entire day. Sunflower County officials also utilized the TFA trainees to substantially increase the district’s contact with parents. The trainees called the family of every child almost every night to provide progress reports and urge parents to check their child’s homework. Coach Nelson, the site coordinator, even made a few home visits — although these typically involved students’ unruly behavior. Li’Thesia Kent, Sunflower County’s district testing coordinator, was a bit concerned that the “re-testers” had to face so many changes in their normal routine for the summer — new bus drivers, new school building, new teachers. But as she thought about the then-upcoming test, she was certain the district’s pass/fail rate would improve. Later in the morning on the day she toured the school, Blackmon, the federal programs director, received a report from Coach Nelson on why that class of third graders had been watching the Disney movie. 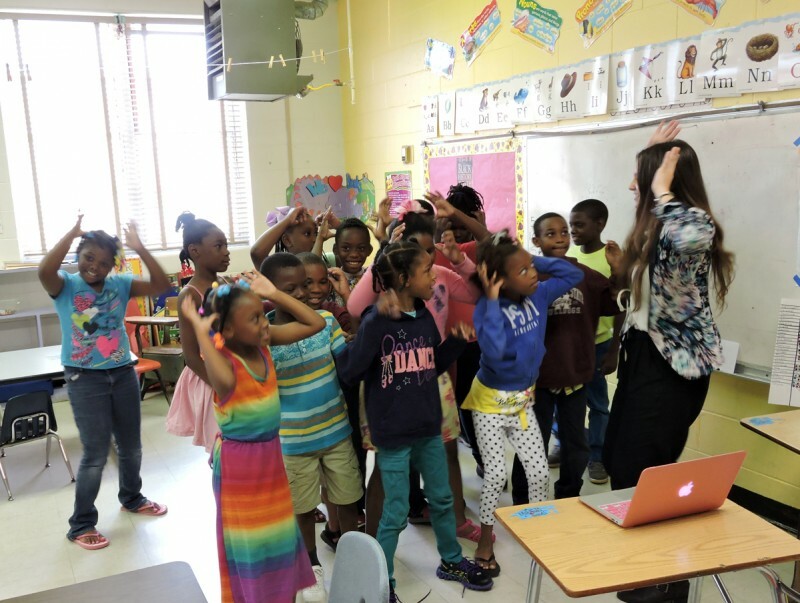 While many educators are wary of such a high-stakes test being given to nine-year-olds, Blackmon was able to see the bright side. This story was written by The Hechinger Report, a nonprofit, independent news organization focused on inequality and innovation in education. Read more about Mississippi.